Travel is a crowded, competitive online landscape. This means destination marketing organizations and convention and visitor bureaus no longer are the only game in town. 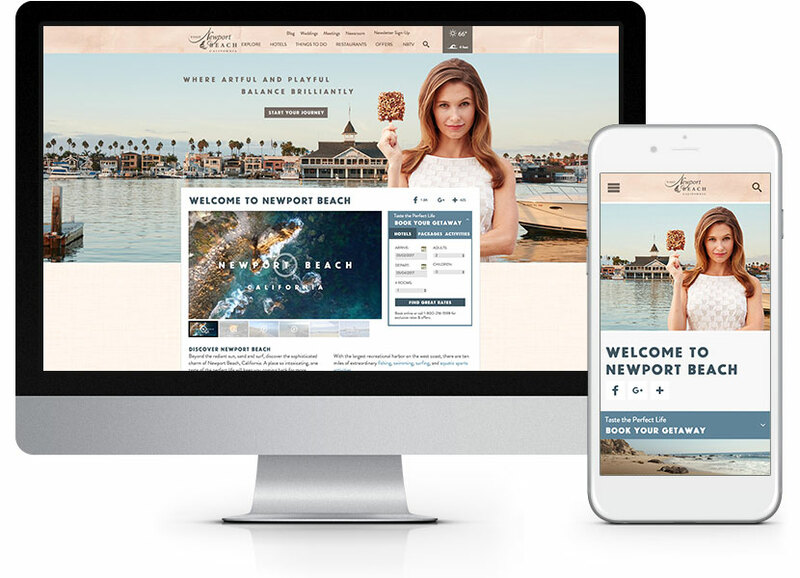 Recognizing this fact, Newport’s CVB, Newport Beach & Co. knew it needed to enhance its website’s user experience to cater to tech-savvy travelers. The organization also wanted to track the performance of overall digital marketing efforts in an effort to drive more visitors to the area. Noble analyzed Newport Beach’s visitor research, destination competitors, historical marketing efforts and target audiences. Our strategy team also looked closely at the site’s web and social analytics. 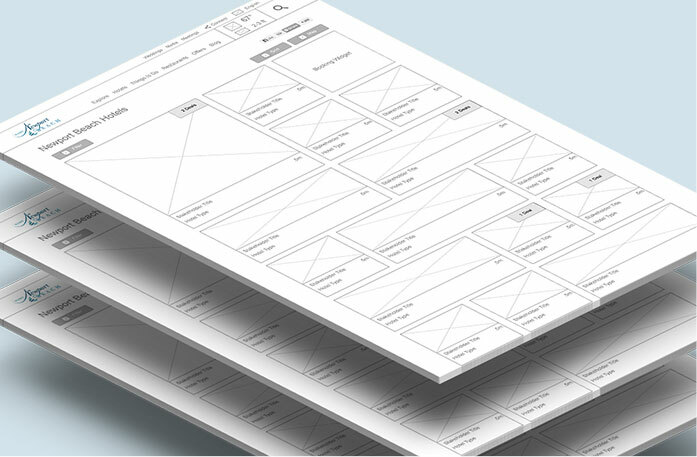 From this, Noble structured the site’s information to better align with target audiences. 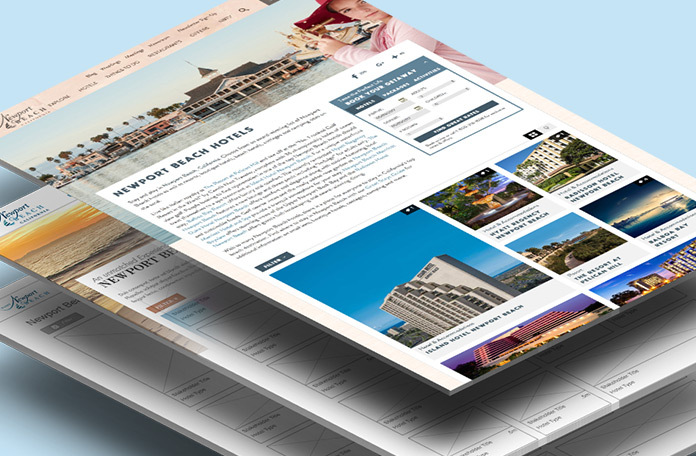 We found Newport Beach was managing two separate mobile and desktop sites. To ease this burden, we consolidated these into a single responsive site with one content management system. 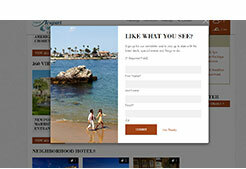 With Newport Beach known as an opulent Orange County coastal fantasy land, our new design captures that feeling online. We looked to upscale fashion magazines with clean, contemporary design for photographic inspiration. The goal was to position Newport Beach as the smart alternative to cities such as Los Angeles and other high-profile beach towns by showing the area as a more relaxed, luxury getaway. In order to help prospective travelers visualize themselves in this beach community for vacations, honeymoons and even weddings, we curated spectacular video, photos and stories that highlight the destination’s unique, lavish attractions. 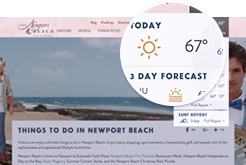 Geo-location tracking provides targeted information, allowing Newport Beach to see and rank the popularity and effectiveness of the site’s content. 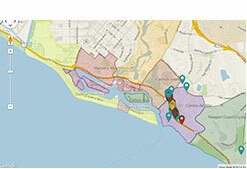 Custom event tracking lets Newport monitor how user site engagement equates to actual visits to area businesses. It also enables the site owners to see how the weather in a user’s location impacts their likelihood to visit the area. 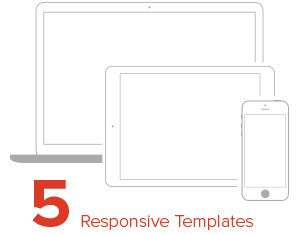 The site’s responsive framework allows visitors to seamlessly interact from any device. When creating the sitemap, we accounted for the two-click rule, which dictates that a customer is more likely to convert if they can get to the information they are looking for within two clicks. On the usability front, knowing that showing a variety of things to do in the destination will increase the length of stay, we shared the story of Newport Beach’s nine distinct neighborhoods’ profiles and offerings. We then loaded the site with tools such as filter search options, an interactive tour and an events calendar. Within 30 days, VisitNewportBeach.com saw double-digit increases in the average number of pages viewed per visit, average visit duration and traffic from mobile devices. Bounce rates drastically dropped. In-market users produce three times more visits to the website, but out-of-market users visit 20 percent more pages and spend more time on site.